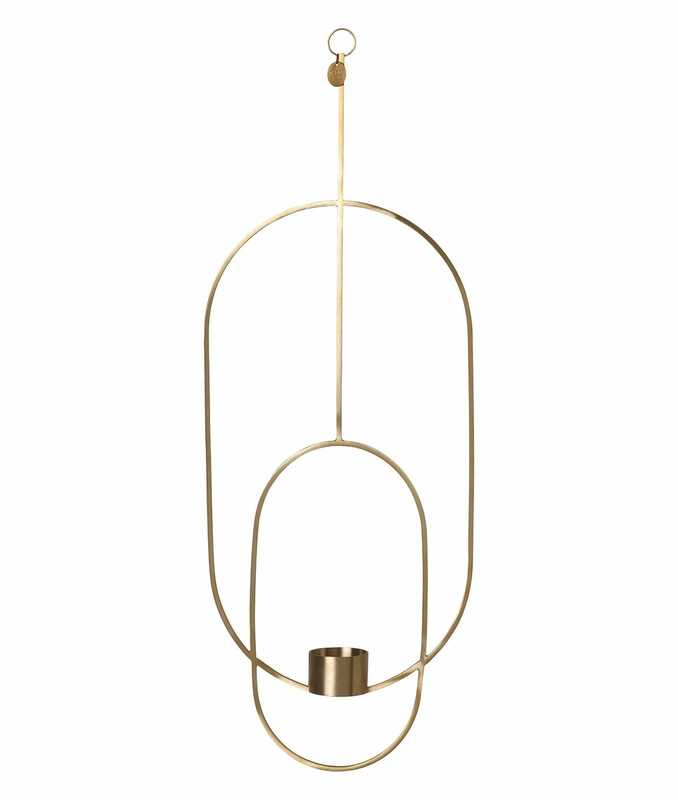 The hanging tealight holder made of brass by ferm LIVING consists of two interconnected ovals. You can hang it in your window or just hang it in the room from the ceiling. No matter where you use one, it will definitely be an art object in the room and a special eye-catcher.